The pose of the week is Parighasana. 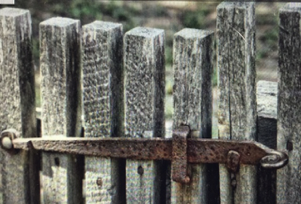 Parigha means a lock or latch for a gate. Asana means pose or posture. This week in the Beginner’s classes we have been focusing on Parighasana. We are coming toward the end of the course; this week being the 8th week of the course. This asana is taught toward the end of the 10 week course as it really is a combination of many of the previous asanas practiced. 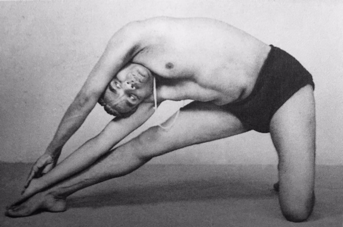 Have a look at the photos of Tania and BKS Iyengar in Parighasana, can you identify any similarities to Utthita Trikonasana (Triangle pose) and Utthita Parsvakonasana (Side angle pose)? You notice how the side flexion of the trunk is similar to Utthita Parsvakonasana, the (front) leg position is similar to Utthita Trikonasana, the pelvis is in a similar position to both of the above-mentioned asanas. The arm position in the preliminary part of the asana is similar to Virabhadrasana 2. How many more can you spot? I’m thinking something like this?? What we are trying to achieve is to latch our outer self with our inner self. We begin with our physical body and learn to go in through the layers. Our physical body is not a separate entity from our mind and soul. As BKS Iyengar says in Light on Life, "The aim of yoga is to discover our immortal Self. The practice of yoga teaches us to live fully - physically and spiritually - cultivating each of the various sheaths.” (p.5) These sheaths are called koshas. They are like layers of an onion. The layers are: the outermost layer of the body, that is our physical form, our energetic body, our mental body, our intellectual body and ultimately our blissful or soul body. The bodies or sheaths are invariably misaligned and fragmented - through yoga we work to achieve integration and unity. Learn more about the process of going in: Pranayama/Restorative Class Sunday 31st March 1pm-3pm (next Sunday). Learn more about Iyengar Yoga. 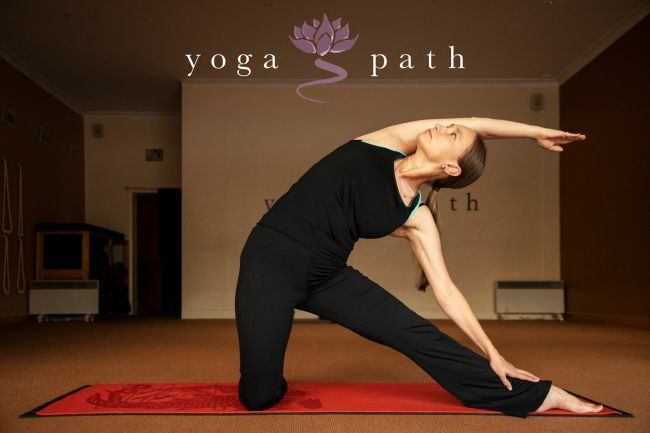 Embark on Certified Iyengar Yoga Teacher Training in inner West Melbourne with Nicole. Info here. Apply here.